The World Cup Cricketeers are one step closer to finalising their record-breaking volunteer line-up following the completion of their interview sessions. The volunteer interviews – known as the ‘First Innings’ – took place over a period of five months, spanning across 38 days of face-to-face interviews in 11 different venues; not to mention over 600 telephone and Skype interviews across 16 days. The World Cup Cricketeers will be the volunteer team at next year’s ICC Men’s Cricket World Cup 2019 and will be the largest-ever volunteer force seen in cricket in England and Wales. Over 6,000 candidates were invited to interview for the 4,000 roles required at next year’s showpiece event. Applications to join the World Cup Cricketeers came from 70 different countries, including candidates from as far away as Australia, Malaysia and Kenya. In total, 89 First Innings sessions were completed during the interview process, with over 2,700 miles clocked from venue to venue. The World Cup Cricketeers team were ably supported by a number of important volunteers, who gave up their time to be ‘Selectors’. 194 volunteers helped the ICC Cricket World Cup team throughout the sessions, with over 4,400 hours of vital support completed from volunteers aged between 19 and 81. 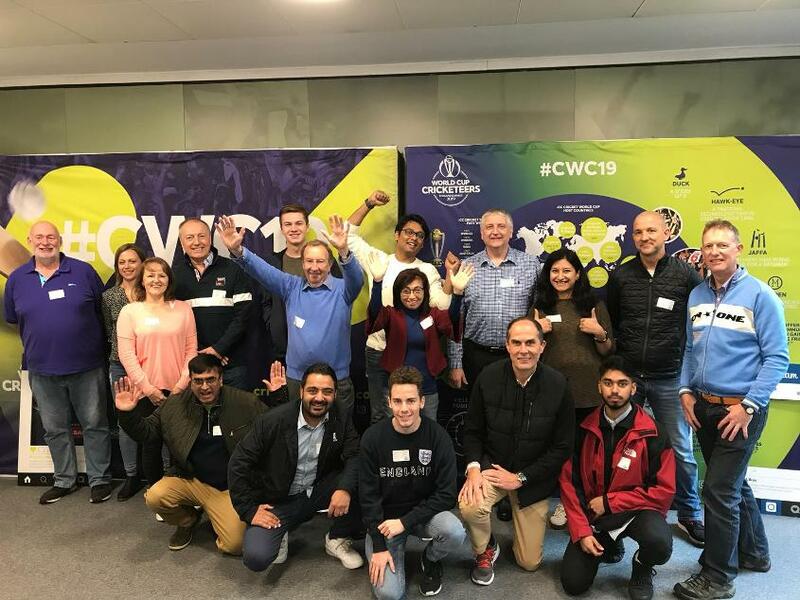 Mary Cahill, Head of the Volunteer Programme at the ICC Men’s Cricket World Cup 2019, said: “It’s been a hectic, but hugely rewarding five months for all our team, with plenty of time spent on the road for the First Innings sessions. “With over 10,000 initial applications to join the World Cup Cricketeers, it’s been incredibly hard to narrow it down to the 4,000 we require at next year’s tournament. The calibre of people we interviewed in the First Innings sessions was exceptional and I am confident we will deliver the best volunteer programme ever seen in cricket next year. The next stage of the volunteer process will be the training sessions – known as the ‘Run Up’ – which will commence from February. All those who applied will receive an update on their World Cup Cricketeers application via email within the next two weeks.